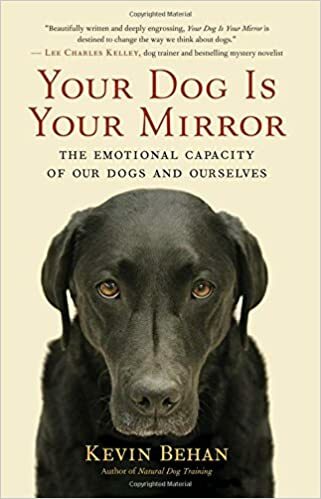 This January, New World Library will be releasing Kevin’s second book, “Your Dog Is Your Mirror: The Emotional Capacity of Our Dogs and Ourselves”. It is currently available for pre-order online, on Amazon, Barnes & Noble, and other major booksellers. “Man’s best friend” is more than a phrase to Kevin Behan. He adheres to a persuasive, experience-based belief that dogs feel what we feel. This, he writes, is how a dog “knows” its place and what it must do to get along — not through the currently popular theories of dominance hierarchies or treat reinforcements. By contrast, Behan’s provocative model emphasizes what dog and man have in common. 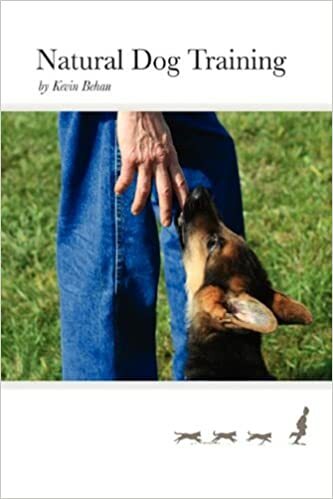 Though human and canine do not share thoughts, instincts, or genes, in this book Behan shows that they do share a primal consciousness driven by the energy of emotion. Humans evolved by using their heads, but domesticated dogs evolved by reading our hearts. So dogs don’t respond to their owners based on what their owners think, say, or do; they respond to what the owner feels. 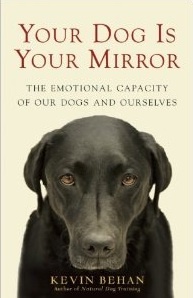 In this way, Behan shows in Your Dog Is Your Mirror, dogs can actually put people back in touch with their own emotions. No surprise to dog-owners, “no one knows you like your dog”. New World Library publishes books and audios that inspire and challenge us to improve the quality of our lives and our world. The ultimate goal of the company is “a sweeping one: personal and planetary transformation — awakening both individual consciousness and global social potential by publishing inspirational and practical materials in spirituality, personal growth, and other related areas”. New World Library features some other impressive authors, including Marc Beckoff, Ian Dunbar, Deepak Chopra and Joseph Campbell. Kevin and the Natural Dog Training camp are incredibly excited to be a part of this distinguished list of authors. Visit their website, follow them on their blog, and check out their social media sites, all at NewWorldLibrary.com. If you’d like to discuss the book, please feel free to do so at Facebook.com/NaturalDogSociety, or post a comment here. We’d love to hear from you!